"The highest apex of psychedelia, be it art, music, drugs or literature, is to induce a prolonged consciousness shift that affects the consumer far beyond the time that they were privy to the act. 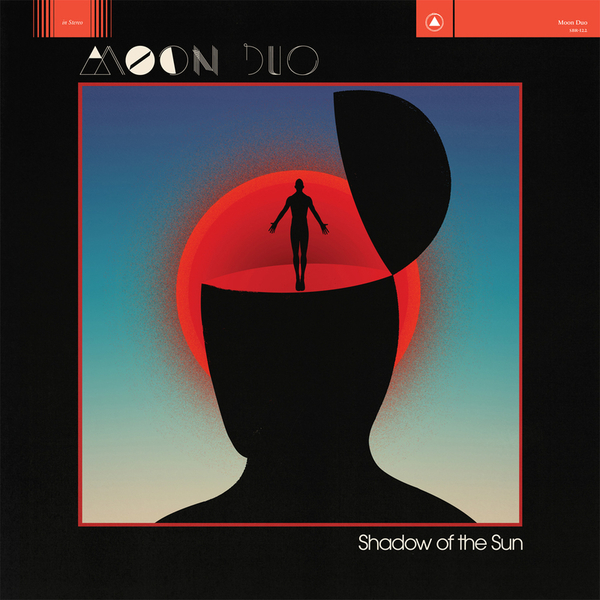 Moon Duo‘s third full-length LP, Shadow of the Sun, was written entirely during one of these evolving phases. Working in a rare and uneasy rest period for the band, devoid of the constant adrenaline of performing live and the stimulation of traveling through endless moving landscapes, offered Moon Duo a new space to reflect on all of these previous experiences and cradle them while cultivating the new album in the unfamiliar environment of a new dwelling; a dark Portland basement…Evolving the sound of their critically acclaimed first two full length records, Mazes (2011) and Circles (2012), Ripley Johnson and Sanae Yamada have developed their ideas with the help of their newly acquired steam engine, Canadian drummer John Jeffrey (present on the band‘s last release, Live in Ravenna. 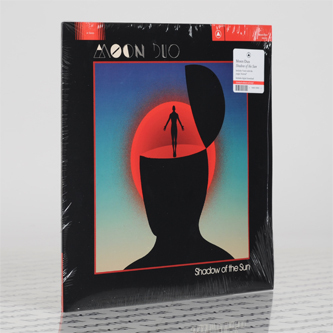 Moon Duo used the creative process as a flickering beacon of sanity in an ocean of uncertainty while in these land bound months. The unchartered rhythms and tones of this album reflect their strive for equilibrium in this new environment, and you can hear that Shadow of the Sun is the result of months of wrangling with this profound, unsettling way of being…In a nod to a great pop tradition, the lead single, “Animal,” will appear as the A-side of a 7-inch, packaged with each copy of the vinyl edition. The song has an early West Coast punk viciousness to it that is entirely unique to the Moon Duo catalog, and it will also appear as the last track on the CD and digital versions."